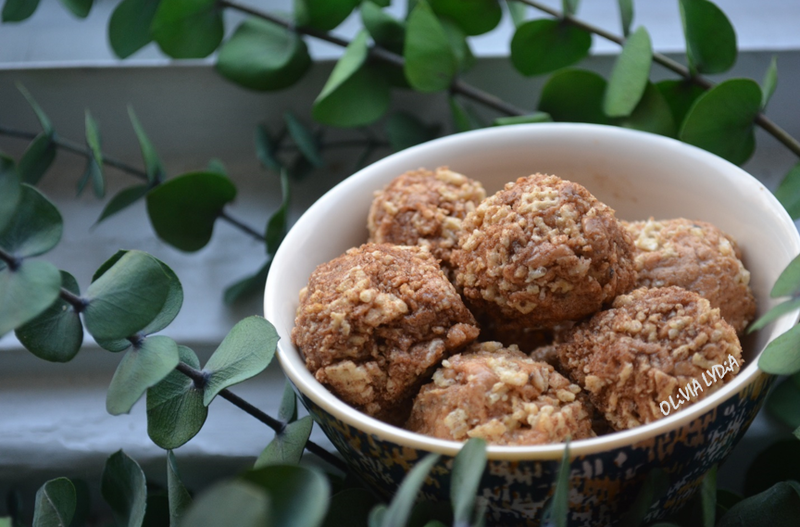 [No Bake] Crunchy Cinnamon Protein Balls – Olive For Greens. The human body is an amazing thing. Most people are calling vegetarianism a fad or a phase. So far, I’ve been a vegetarian for 2 short years and don’t think about eating meat. I love being a vegetarian. I get asked so many questions like “So what do you eat? Just Vegetables?” To which I respond, “Yes… And fruit… And grains such as rice and pasta.” The 2nd most popular question is “So how do you get protein since you don’t eat meat?” To which I usually respond “From vegetable, quinoa, even protein shakes.” In fact, I have a much more balanced diet since becoming a vegetarian. Most people don’t even know what protein is and how it works. Most people don’t even think about how balanced their meals are or even eat enough veggies in a day. I’m not going to write an entire post about protein! Google can provide assistance and good sources that will explain it better (Hehehe). Just know that there are 22 amino acids and our bodies can’t make 9 of the amino acids on its own. You can, however, get them by having a good diet that includes soy and nuts! Speaking of nuts, who doesn’t love peanut butter (with the mild exception of those unfortunate enough to have an allergy)? It’s my favorite go-to snack. My No Bake Crunchy Cinnamon Protein Balls include peanut butter and make a great snack between meals, after a workout or after dinner! They are super simple and decadent. I hope you enjoy the rich favors of peanut butter and cinnamon. A genius combination of indulgent flavors, if I do say so myself! NOTE: The peanut butter should be room temperature so it will easier to handle. In a separate bowl, add the cinnamon. Crumble, either with your hands or other method, the Chex cereal. Incorporate cinnamon with the cereal. With a teaspoon, scoop up the peanut butter mixture. With your hands roll into a ball. Roll the ball into the Chex mixture until coated. Set on a plate. Repeat this step until the peanut mixture is gone. Once done, place in the fridge for at least 30 minutes to harden. Or 15 minutes in the freezer (but don’t forget about them!). Pingback: No-Bake Chocolate Chip Cookie Dough Bites – Olive For Greens.